The software development life cycle is complex. Among the many moving pieces of developing software is the process of testing. Testing ensures quality in the product and proves the code is functioning as expected and as needed. There are many different testing activities that should occur within the process of building software. User Acceptance Testing, or UAT, is just one of the various types of testing involved in the software development life cycle, and most commonly, it is the final testing activity before release. User Acceptance Testing (UAT) focuses on the functionality and usability of the software, rather than the technical aspects. The purpose of User Acceptance Testing is to verify the application meets the business requirements. It is the final phase of testing before moving the application into production and is intended to avoid any surprises when the product is released. This means unit, integration, and system testing should already be completed before UAT occurs. All major defects should be fixed and rested prior to the start of User Acceptance Testing. Who does User Acceptance Testing? UAT should and is usually completed by the client, but on some occasions this may also be the end-user. These are the people who will be using the application and therefore can validate the requirements were both communicated and executed effectively. Because the goal is to ensure the business needs are met, the UAT tester should have a good understanding of the business processes, yet go into the test as an unknown user to the application. How is User Acceptance Testing done? In order to perform User Acceptance Testing, you must first acquire the business requirements, then define the test cases, and finally, run the tests. A test plan is necessary to define the scope of testing, who will conduct the testing, how defects will be logged, outline any risks, and more. TestLodge can help document the test plan and test cases. Once these documents are complete, the testers can then login to TestLodge and execute the tests, flagging each test case as Pass, Fail, or Skipped, and input actual results, which can be carried over directly to your bug tracking tool using one of TestLodge’s many issue tracker integrations. Why should you do User Acceptance Testing? 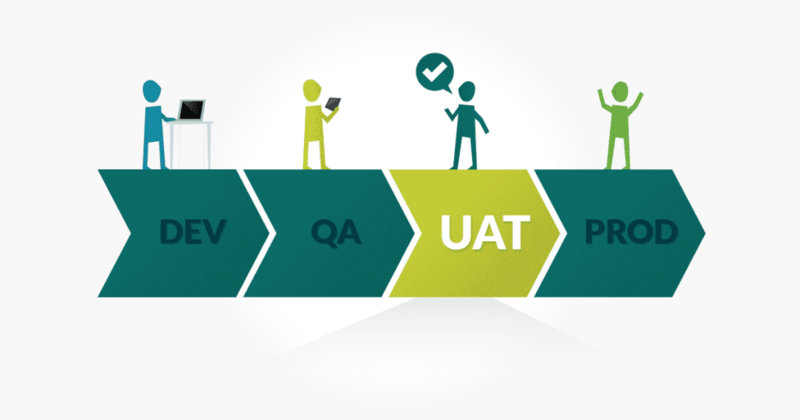 It may seem redundant to do User Acceptance Testing since so many other testing activities are done prior to it, but UAT is an integral part of the software development life cycle. It brings confidence to both the software development team and the client that the software release will go off without any major issues or unexpected outcomes. Features are coded the way the developer feels best fit the requirements, but the outcome of this isn’t always inline with the actual business requirement. With UAT, you ensure business requirements are met and that any changes to requirements were communicated effectively.